Rome’s Golden Gala will take place on 10 June, 2010 as the fourth stop on this year’s inaugural IAAF Diamond League series. Normally the meet is held in July, but we’ll have to wait and see the turnout as the next day is still a school day for children. Moreover, the Italian Masters Nationals will be held the on the weekend June 11-13, 2010. To all my Masters Italian friends, you should come a few days earlier and watch the meet! Visitors to the Rome Golden Gala’s area (at the The Roma City Marathon Village) will be able to get a special Golden Gala bib, personalized with your own name. One hour before the meet begins, spectators with personalized bibs will be able to take part in the opening parade of the Golden Gala. Thus you will be able to access the stadium track and infield and see what it’s like from an athlete’s point of view! Bring your camera! As well, you will be able to meet “Romeo”, a Roman red-haired cat who is the new Golden Gala Mascot. Maybe he’s the cousin of Berlino? 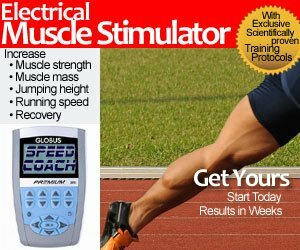 The stadium is famous for hosting the 1960 Summer Olympics as well as the 1987 World Championships. Who can remember (or forget!) 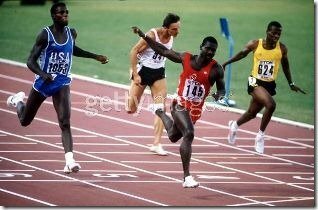 Ben Johnson’s 9.83 “victory” over Carl Lewis? While you are in Rome, don’t forget to visit the Coliseum and the Arch of Constantine, site of the 1960 Olympic Marathon finish line. The next question is getting Usain Bolt, Tyson Gay and Asafa Powell all in the same 100 meters section. Good luck with that task.